Looking for a practical, but fun gift idea? 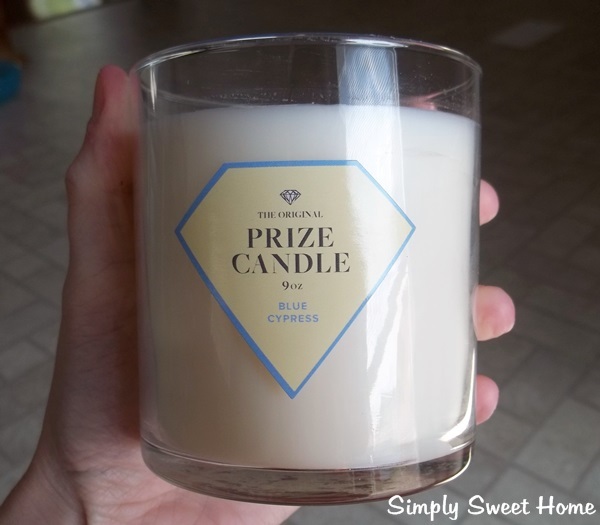 You should consider Prize Candle. Like other candles, a Prize Candle makes a lovely accent piece and gives off a wonderful aroma when burned, but what makes a prize candle different from other candles is that it contains a ring inside. 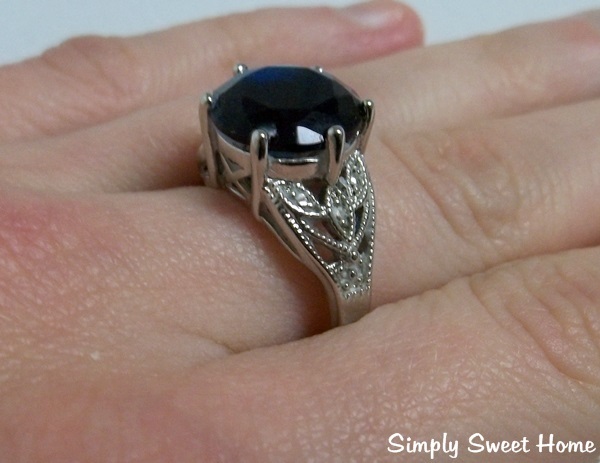 Each ring is valued anywhere from $10 to $5000. All you have to do is burn your candle, and then use tweezers to pull your ring packaging out of the candle. Inside the packaging you will find code. 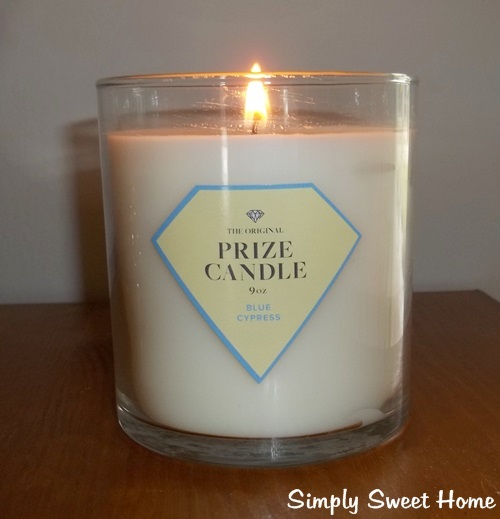 Enter the code on the Prize Candle website, and it will tell you how much your ring is worth. I received a 9 oz soy candle in the Blue Cypress scent. I really enjoyed burning this candle because it had a very clean smell to it. It was very nice and not too overwhelming. And of course, I was very excited to get my ring. 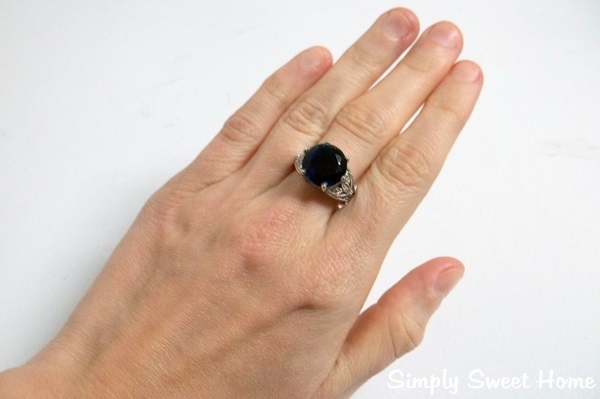 The ring I received features a large dark blue stone, and it is just beautiful. The ring itself was just a $10 ring, but I still love it. It’s very stylish, and it will go with a lot of different outfits. Disclosure: I was sent a Prize Candle for review. However, the opinions are my own. If you’d like to advertise on my blog or be included in holiday gift guide, please send an email to simplysweethome@hotmail.com for details.